My Nintendo, the loyalty / rewards programme that replaced Club Nintendo, is working a little differently between regions. In North America updates are less frequent but more sweeping, while in Europe there are changes every 2-3 weeks, albeit less new offers each time around. The European service has now had its mid-May update, adding three discounts in total. Two of the discounts are on the same game, albeit using different currency and offering alternative deals - the details are below. Those are the updates this time around in Europe. Are you tempted by any of those offers? No new full games for points though? Bah. I've nothing to spend them on! I like the fact that more discounts or other rewards are coming nearly every week; at least twice a month, it seems. Nintendo Pocket Football for less than a fiver, honestly MyNintendo is not that good. Load of crap! Discounts for you! All games I alread own! @KoopaTheGamer Not for NA. We only get updates once a month and we dont even get certain rewards (like the Bravely Second theme). I just don't understand why NA and Europe can't have the same rewards! Can the two discounts for the same game stack? £4 off £19.99 for a classic game (Zelda) ain't shabby at all. Especially for points that are free to earn. Then you get gold points on that purchase too. Woo, more mediocre discounts on old or disinteresting software, that you either already own or can find cheaper elsewhere. Thomas give us a poll about how disappointing the My Nintendo is. I really hope eventually we can turn those gold coins to credits. If the discounts were for Indie or VC titles then it could be interesting, but discounts for retail games that are still more expensive than your local independent game store is just pathetic. The miserable discounts don't surprise me the more I look into their miserable pricing in general. My son has been looking for old DS/3DS games for our summer vacation car ride. So far he has decided on SM64DS, which, despite being a remake of the 3D Mario game we can't find in the eshop - in the US, don't know about the rest of the world - and it's $30 used when we can find it. He also wants Luigis Mansion 2 Dark Moon, which released on 3DS in March 2013, over 3 years ago, but is still $40 new. He wanted to use the 15% off from My Nintendo (see, on topic) on the eshop but my wife told him no, even $34 for a 3 year old game seemed too much for her. I told him I'd keep an eye out for Selects, Dark Moon seems a given to be a select, a 3 year old game. I don't know how many games Nintendo manages to sell at full MSRP 3 years on - still waiting on Lego City Undercover to become a Select in the US - but in a world of Steam sales and free apps, I wonder if the lack of cheap games will start to hurt that hardware sales for NX. Real gaming may not be cheap, but mobile is becoming in ubiquitous. I don't think Nintendo is doing themselves any favors by keeping their games at full price for so long, it just isn't done. When is NA My Nintendo's going to update? I'll take that Nintendo Pocket Football discount thank you. It's a game that's never been in a sale so it's 50% discount is much more attractive. This reward program is a joke. Where are the games? Where are the points you were supposed to receive for playing stuff other than Miitomo? What about buying physical copies? I'm starting to miss Club Nintendo a lot. Discounts for games most Nintendo fans already own, no thanks. Just put SM64DS on there as a 3DS download. I've got the points, they're just waiting to be spent on actual rewards! No thanks. 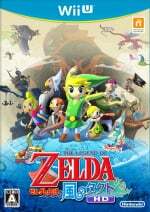 I already have Wind Waker HD and have fully completed it, and sports games rarely interest me. My Nintendo has been a substantial letdown so far. You should at least be able to get a full, non-VC game for free if you amass enough points. You know, like the Club Nintendo ten years ago. And that was physical. In fact, so far it looks worse than the Club Nintendo from even recent times. You had physical rewards in the form of merchandising, a neat Game & Watch reproduction, etc. And when it came to digital rewards, there was a lot more variety game-wise. I understand the new service has just begun and all, but it's already making for tepid expectations towards the future with all the lame offerings. -These are games I already own. Summary: I never wanted Club Nintendo replaced with a program where it's primarily about getting discounts off digital games that I already have in physical form. Meh. If I'll have a second Wii U before it expires, I'd avail that Wind Waker HD discount even though I already have it on our main Wii U.
I definitely preferred Club Nintendo, and these discount coupons are pathetic, but I've gotten 3 free games from My Nintendo so far (Twilight Princess Picross, WarioWare Touched, and Metroid Fusion). I guess I can't really complain too much. Not to mention you only get gold coins for digital purchases. Since Club Nintendo has closed I've bought a load of physical games and bundles and got nothing in return, e.g. Yoshi's Woolly World amiibo bundle, Super Mario Maker with artbook, Project Zero: Maiden of Black Water Collectors Edition, Xenoblade Chronicles X Collectors Edition, Animal Crossing: amiibo Festival amiibo bundle, Mario Tennis: Ultra Smash, Twilight Princess HD Collectors Edition, Star Fox Zero: First Print Edition and many, many more. None of which have netted me anything. My Nintendo is a mere shadow of the greatness that was Club Nintendo. For shame. I could have somewhat lived with it if you could still register physical games too, but since that's not the case, I will make very, VERY little use of My Nintendo. And judging by the comments here, I'm probably not the only one. Guess my points are going to overflow even more now. You have to be kidding ... that is listed for 14.99 in the eShop, so lets say I use the 250 to get a 20% discount - thats 2.99 off ending up paying 12 euro as a REWARD. Funny that a quick look an freaking AMAZON already reveals you can buy it for as low as 7.49 (!) Euro (and you get the game box including the download code along with it). Sorry, who is his right mind feels rewarded... this is an outright scam... not even worth the term "Reward". I wont get even into the joke of the gold coins. What have you become, Nintendo. My Nintendo is a disappointment overall, but the online infrastructure is good. That's my silver lining. I'll keep my points for the exclusives. @SLIGEACH_EIRE don't believe you bought those games. Picture please featuring a cup, 2 girls and pub carpet! Sorry I forgot the cup and for good measure I have it digitally as well. I included Captain Toad because though they didn't mention it here, I think there was a 20% discount on it with 600 platinum coins. And 50% off with 100 Gold Coins. Both are valid until July 16th. Yoshi's Woolly World amiibo bundle, Super Mario Maker with artbook, Project Zero: Maiden of Black Water Collectors Edition, Xenoblade Chronicles X Collectors Edition, Animal Crossing: amiibo Festival amiibo bundle, Mario Tennis: Ultra Smash, Twilight Princess HD Collectors Edition, Star Fox Zero: First Print Edition. Give me a minute. I'll just get XCX and Project Zero. You've seen the others. @Jazzer94 Shouldn't Captain Toad be included? 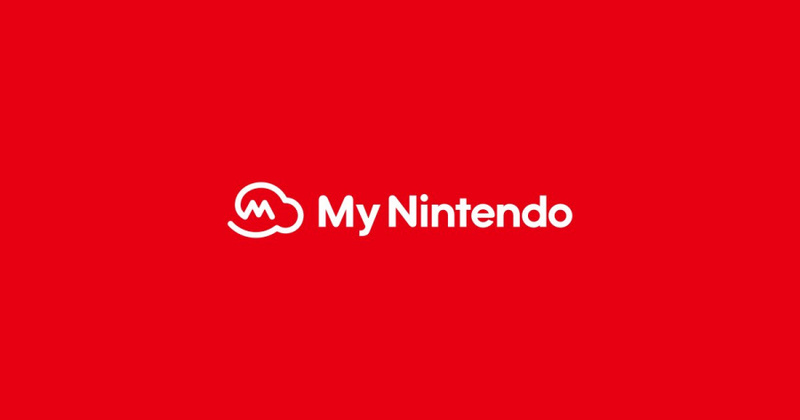 Restoration of a deleted Nintendo Account is easy and points are kept (as long as you sign in again within 4 weeks). I'm hoping that this perhaps is paving the way for a proper unified account. Ridiculous. Sorry but this is becoming a joke. Surely 80+ of WiiU owners have WWHD and the other game can be found physically for 5-7 quid easily. More virtual console or eshop games, or simply money off vouchers for all games please. This is a huge dissapointment. It reminds me of some mini Mario/tipping stars game, like they keep walking backwards and forwards trying to get it right and every now and then they get closer but stuck on something else entirely!?! I prefer the carpet in your post about starfox, more like a pub! You play through project zero yet? I bought the same lt edition(only once) and I've yet to finish it. Hard to find time for a about game suicide and its about as scary a game as I've played in a while!